Funeral services for Larry A. Pearson will be at 1:00pm on Wednesday, April 10, 2019, at Grace Lutheran Church, Albert Lea. Visitation will be one hour before services. Interment will be at Riverside Cemetery, Blue Earth, Minnesota. 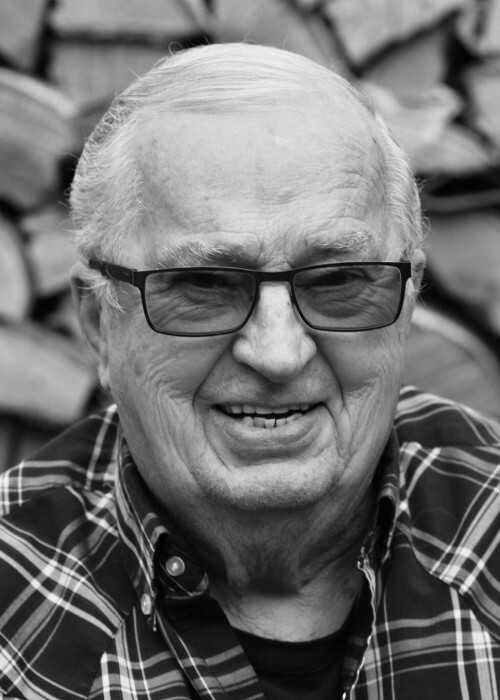 Larry Allen Pearson passed April 2, 2019, at Thorne Crest Senior Living Community in Albert Lea. Larry was born May 29, 1938, to Rodney and Mable Pearson in Blue Earth, Minnesota. He was the sixth of nine children that grew up on a farm near Elmore, MN. He joined the U.S. Navy at the age of 17, and did a tour aboard the USS Boston, the world's first guided missile cruiser; touring the North Atlantic, South Pacific and Mediterranean Sea. After being honorably discharged, Larry married his school sweetheart, Shirley Hannaman on February 13, 1958. Larry was a life member of the VFW and American Legion. He served three terms on the Grace Lutheran Church council. He enjoyed working with people in the Albert Lea community and retired after 18 years at Motor Inn Company. He enjoyed motorcycling, hunting, negotiating good deals at garage sales, and collecting all the yard sticks in southern Minnesota. Larry is survived by Shirley, his wife of 61 years; daughter, Julie of Albert Lea, MN; son, Tim (Lori) of Woodbury, MN; grandchildren, Jackie Halsey (Shawn) and Grant (Liz) Pearson; great-grandchildren, McKenzie, Connor, Drea, Odin and Summer; brother, Claire; and sisters-in-law, Barbara, Marian, Diane and Vivian. He is preceded in death by his parents; his sister, Irene; his brothers, Reed, Leland, Myron, Vernel, Mark and Merle; and his sister-in-law, Ruby. He is also preceded by his grandson, Joshua Medd, the greatest loss of Larry's life - and he anticipated their reunion.